It's mid-September. The curtain is about to fall on the 2018 cricket season. One name in the game is about to leave perhaps its biggest stage. Mick Hunt has graced it for nearly half a century. Neville Johnson has a chat with him during his last match in charge of a Lord's pitch. Looking down from one of the press rooms in the famous 'lozenge' media centre at Lord's Nursery End has to be one of the best views in world cricket. You see everything so clearly. Middlesex and Derbyshire are doing mid-table battle. 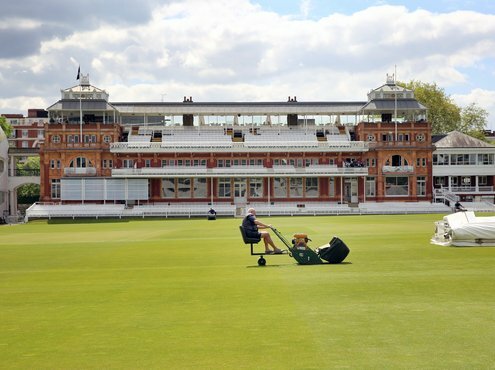 The ground looks immaculate, as it always does, and the man responsible is taking a longer coffee break than usual to share a few thoughts about his life at Lord's and beyond. Cricket, more than most sports, is about stats and records. 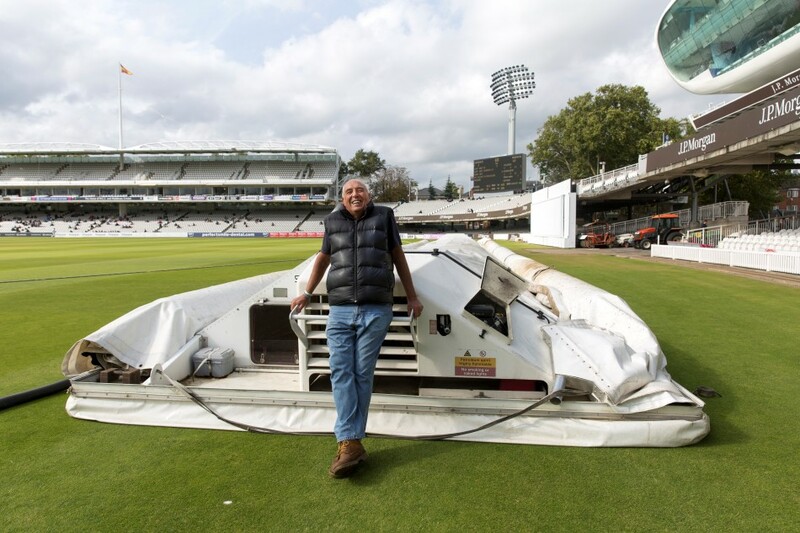 Bearing in mind when he first did pitch work here, the Beatles were still a group and colour television had only just started to show that grass was green, I asked Mick Hunt why he was retiring after forty-nine years at Lord's and not looking for another 'single'. "I've found an escape tunnel," he said laughing. "I hadn't really thought about being here forty-nine years when I made my decision to retire. Here are two other numbers. I'm now sixty-six and, as it happens, today is my forty-fourth wedding anniversary. I've also got two sons, two daughters, and nine grandchildren. Over the years, I've maybe put cricket first a bit too often. It's time to change all that and spend more time with them. Payback time, I suppose." 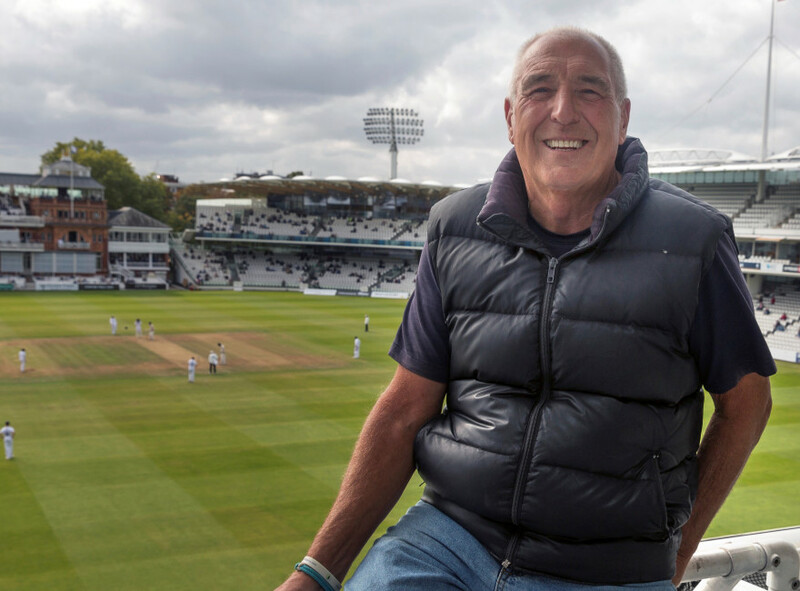 Mick actually says goodbye to Lord's on 31st December. As we talk, there was still a busy autumn ahead with all the usual end of season renovation. For a few more weeks, Lord's will remain a priority, but what's in his mind for life after that? "Getting my golf handicap down is a major objective for next year," he said, again laughing. All he would admit to was that it was quite high at the moment. Very rarely, Mick had just returned from a break in Cyprus with his wife. They plan to do a whole lot more travelling together in his retirement. One way or another, he'll be keeping away from cricket pitches, at least for a year. "After that, who knows?" he said, with the twinkle in his eye that all who know him will be well familiar with. He admits that, somewhere along the line, he knows he will be tempted to sit on a mower or roller for a club somewhere now and again. Once a groundsman, always a groundsman, eh. "There's a bit of catching up to do with the fun and relaxation side of life. I think I'll be joining a gym, and definitely doing plenty of swimming," he said. Horseracing - National Hunt, of course - and sailing are on Mick's agenda as well. He expects to be popping into Lord's to watch a bit of cricket too, without the pressure. One thing that will be occupying the Hunt household soon is swapping their very local St John's Wood home for a new address, leafy Hertfordshire maybe. "It will be a bit of a wrench, but it's tied accommodation that goes with the job. It will be strange not living 'over the shop' any more. When our children were at school nobody believed them when they said they lived at Lord's cricket ground." 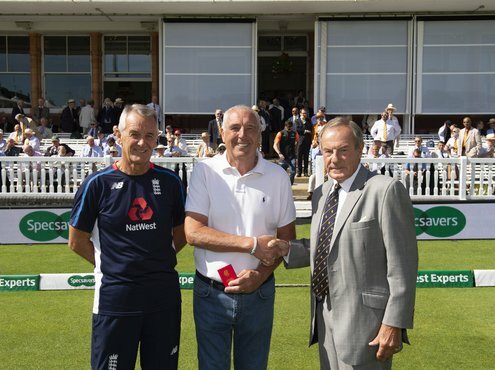 Mick took over from his predecessor Jim Fairbrother in 1985, and has been head groundsman ever since. What does he recall about those first days of knowing that Lord's was in his care, his responsibility? "There was no actual first day 'in charge in the middle' for me. Jim had been ill, terminally so, for a while and it was a gradual changeover. As his assistant, I can remember when he was pretty unwell collecting him from his Lord's cottage in a tractor and trailer. He'd sit in the back, still very much directing things. In a sense, the transition was quite easy and I suppose it lasted for about six months or so until Jim became too ill to carry on." And his daily routine since then? "I take the dog out in the morning about 5.00am, sometimes as late as 5.30. When we get back, it's a cup of tea for me and, for Bailey - a Husky, it's a digestive biscuit, and for him an M&S one is always his preference. That's my ritual seven days a week, then I'm straight into the working day, which is ten to twelve hours on match days, and occasionally fourteen for major matches and T20. Whoever takes up the reins here - and we now know that it will be the Ageas Bowl's Karl McDermott - what single nugget of advice would you give to embrace and make the most of the Lord's experience? "Above all make sure you enjoy what you're doing. If you can't get motivated for Lord's, what else would do it for you for goodness sake?" he answered straight away. "There have been days when I did wonder why I do what I do. I see a postman delivering letters and think to myself I wish I had your job - no worries, nobody badgering you, but I really have truly loved being at Lord's. "The pressure all round has grown and grown, especially media attention, pitch inspections, and fixture turnaround. In the last three weeks, we've had three 4-day county matches and four one-day games. 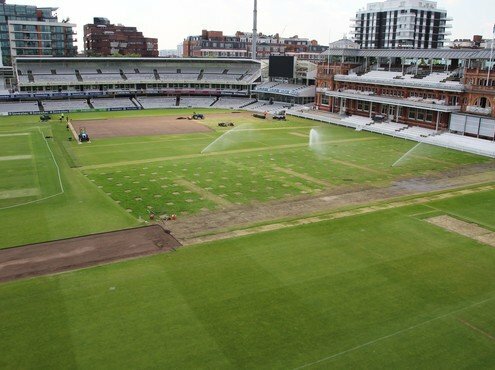 That's a lot of pressure on any grounds team and it's down to you as the Lord's head groundsman to keep getting it right." The tense and exciting Test series against India this summer is still fresh in the minds of cricket lovers. Does Mick think Test cricket is the pinnacle of the game it was when he took over in the mid 80s? What's his take on Twenty20 and its effects? "I still get a terrific buzz from Test matches here. The work is stressful, but very satisfying. It's a great feeling the night before a Test Match when you look across the ground and it's immaculate, ready for action. It's a matter of great pride. 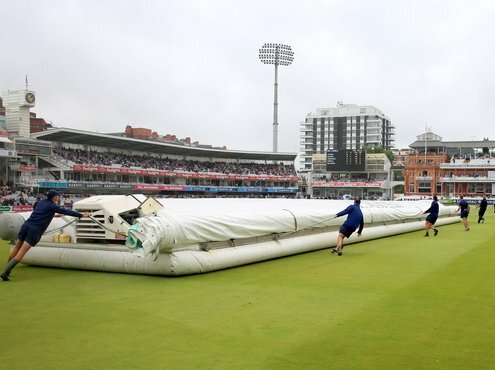 You know you can't control the weather, or the way batsmen or bowlers perform, but you've just given them the best platform possible for a five-day Test. Nothing is more pleasing." "I must be honest, when Twenty20 first came on to the scene I really didn't think it would take off, and I have been surprised by its popularity. I never imagined that 20,000 plus would come to Lord's to watch it, but they do." "The razamataz of the short game is all good fun and I do enjoy it. It doesn't have the same kind of intensity that draws people in to watch Shane Warne bowl or Viv Richards bat in a Test though. This summer, I wasn't surprised by the criticism of the batsmen getting out to Twenty20 shots in the Test match here against Pakistan. Champagne shots, I call them." Whether it's a Test Match, ODI, or a Middlesex game, MCC is Mick's employer and its Head of Cricket, John Stephenson, his boss. Presently working for him are three full-time groundsmen, plus three others during the playing season. What is he going to miss? What will he be glad to see the back of? "I love the banter, even when you're working your socks off to keep on top of things," he said with typical Mick Hunt enthusiasm. "Like my dad used to say, it's a game, enjoy it. Players' terminology like "have you run out of petrol?" meaning too much grass coverage on the pitch, or "is there water rationing?" when they think it's too dry' is all good fun and has no effect on the serious business of pitch work. Middlesex off-spinner Ollie Rayner's top of my witty chat list right now. We share light-hearted exchanges all the time before and after play. I'm really going to miss all of that." "Stress is what I'd like to wave goodbye. This is Lord's: you can't get it wrong. That's what hangs over you all the time in this job." Lord's is subject to the same scrutiny from officialdom in the game - aka Pitch Liaison Officers - as any other ground, only more so perhaps because it is Lord's. Mick will not miss this most permanent of pressures, and admits that he does tend to bottle it up sometimes. "We try to put the same level of work into every game here, whether it's a village final, an end of season county game, or an Ashes Test. It's a matter of great pride to all of the team to get the playing surface as good and fair as we can, and the outfield, even the edges, as immaculate in appearance as possible. Presentation is always going to count for that bit more at Lord's." What about your relationship with umpires and players? Heroes and villains? "Most umpires these days have been professional players. They're poachers turned gamekeepers if you like," said Mick, tongue in cheek. 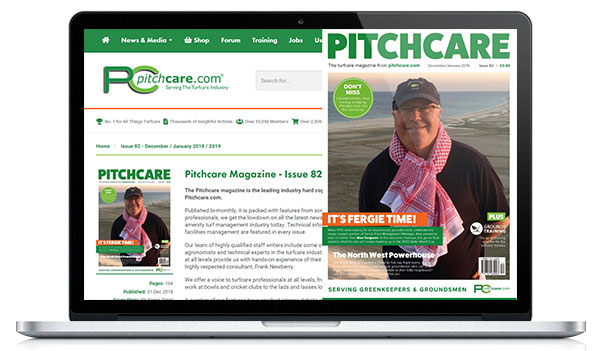 "I suppose they're more sympathetic to the issues of pitch preparation and maintenance. There's more banter with some of them than others, and they tend to be the ones who liked give-and-take leg pulling when they were playing. I can't honestly think of any that have been difficult. We all have a job to do and there's respect all round generally." When it comes to players, Viv Richards tops his heroes' list. "He always said he knew pitches at Lord's were going to be fair," said Mick. "Viv never complained about conditions when things went wrong for his side and, of course, he was wonderful to watch when he was in full flow. He was good to talk to before and after play, always genial and laid back." Also high on Mick's admiration list are Kapil Dev, whom he describes as wonderful to watch with bat and ball, and a good bloke too; and Aussie Justin Langer, one time oversees player for Middlesex who he says was always ready with friendly, knowledgeable chat. "No villains really," said Mick, then hesitated with a wink in his eye. 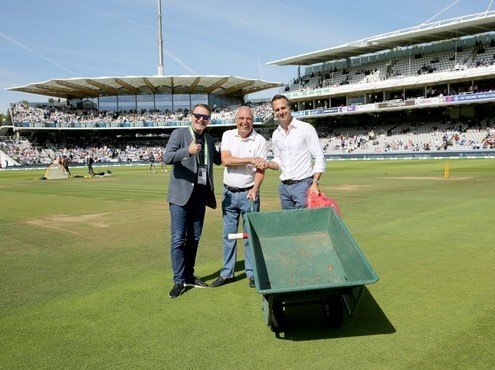 "Excellent Sky commentator, and a lovely bloke, Nasser Hussein was one that could be a bit pernickety about pitches. I didn't feel singled out though, because he could have it in for the groundsman anywhere if he felt there was an issue." OK, it's the Mick Hunt Award for best kit innovation. 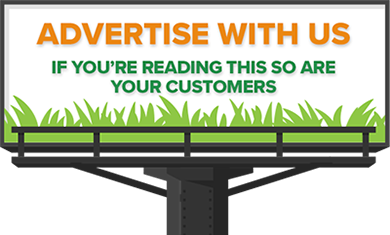 What gets the Oscar for pitch care in your book? "The hover-cover, definitely," said Mick, this time with no hesitation. "As well as the benefit to my back, when rain stops play, we can get it into the middle before the players have left the pitch. We can get the whole of the square under cover within three minutes." "I think it was first designed and produced by Stuart Canvas getting on for twenty years ago. Lord's was the first ground in the world to use it and that Mark One is still in service and doing a great job here. Many other major cricket venues have followed suit. We never like rain stopping play, but the hover is a massive benefit to the game and a lot less wear and tear on the groundkeeping staff than covers of old. I love it." There have been countless big days and games at Lord's in your time here. If you could bottle just one of them, which one would it be and why? "Probably the South Africa Test Match immediately after the 2012 Olympics." "The archery tournament had been staged here. 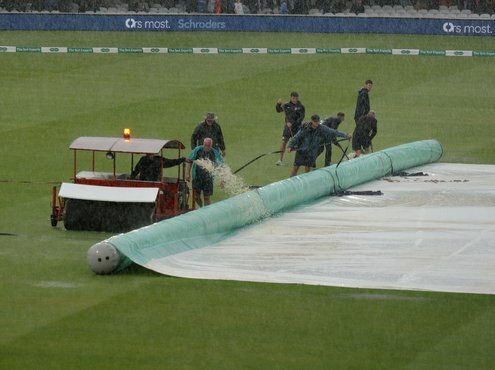 When the event was concluded and all the paraphernalia removed, the effect on more than a third of the outfield was troublesome to say the least; devastating actually." "We had barely a fortnight to put things right before that Test. It meant that 6,000 square metres of turf had to be replaced, no question. The logistics were testing to say the least. 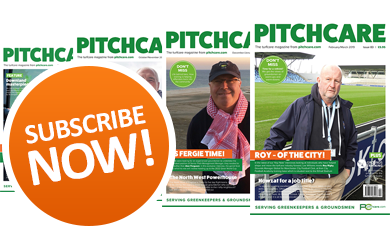 The contractor we engaged to do this for us, Steve Pask, and the suppliers County Turf got the job done, allowing us to get on with the business of preparing the pitch, and that wasn't easy alongside such a massive turf operation." "I can honestly say that, without Steve's involvement, there wouldn't have been a Test match. He and his team were outstanding, having turned a quagmire into a pristine cricket outfield in less than two weeks. It was truly remarkable." "Hearing remarks from the public like 'Can't understand what all the fuss was about' and 'Looks all right to me', was just so pleasing and a great relief, because it told me that a great job had been done." "Match Referee for that Test, Jeff Crowe, always fair, but not known for shying away from criticism, marked the pitch and outfield as very good, which was satisfying too, given how bad it had looked a couple of weeks earlier." "It had been a terrific achievement by everyone involved. As it happens, England lost by 51 runs, but it was a close and exciting game with batting and bowling to enjoy right up until after 5 o'clock on the fifth day. It was hailed as a magic Test, and certainly one I'll always remember. I'd like to bottle up my feelings as the game finished." Mick is a practical man and not one for being in the limelight, but like it or not he is a Lord's legend. It just hasn't seemed like forty-nine years there to him. That's a mark of enjoying what you do if ever there was. He's been taken aback by all the good wishes he's been getting since he announced his retirement. 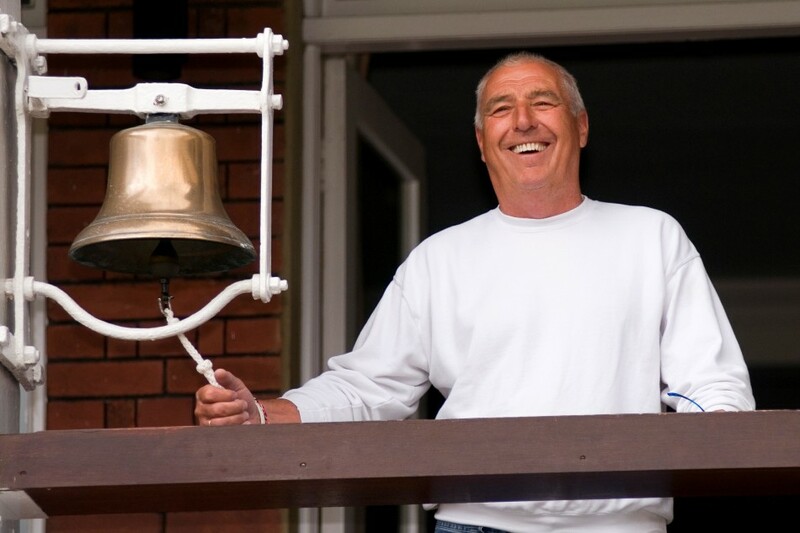 As we say goodbye, walking across the edge of the Nursery Ground during the lunch interval, a Middlesex supporter comes up to him, shakes his hand and thanks him for all the great cricket he'd given him over the years. Praise indeed.